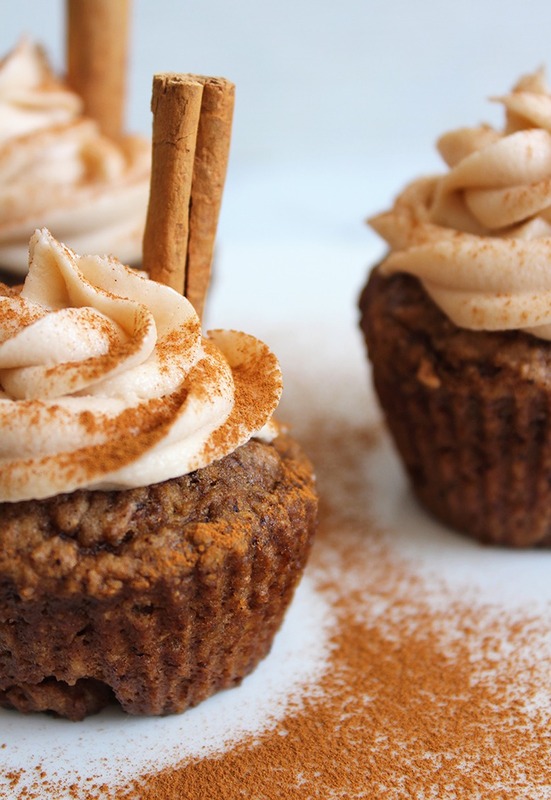 These Vegan Chai Spiced Cupcakes are dense, soft and delicious! 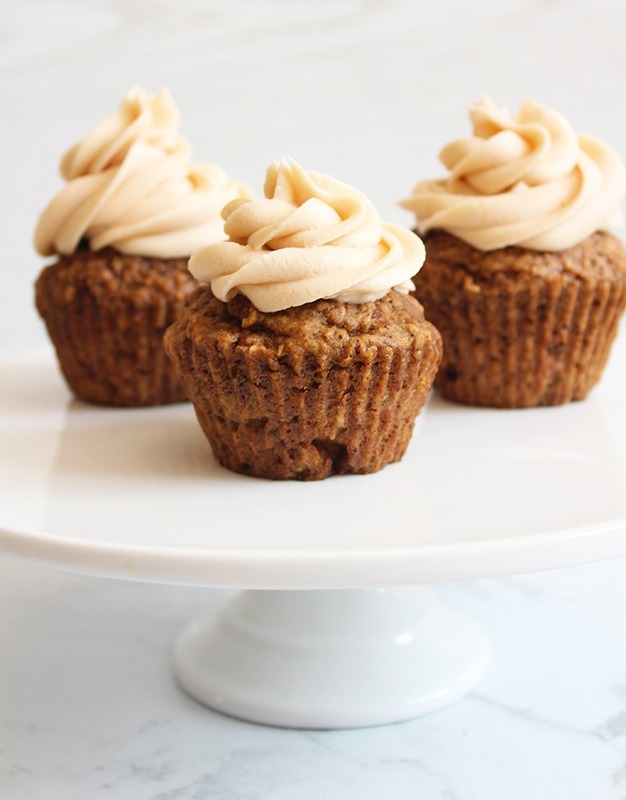 Paired with a sweet and creamy icing they’re hard to resist and cute enough to grab anyone’s attention. Perfect for the festive season or any time of the year! 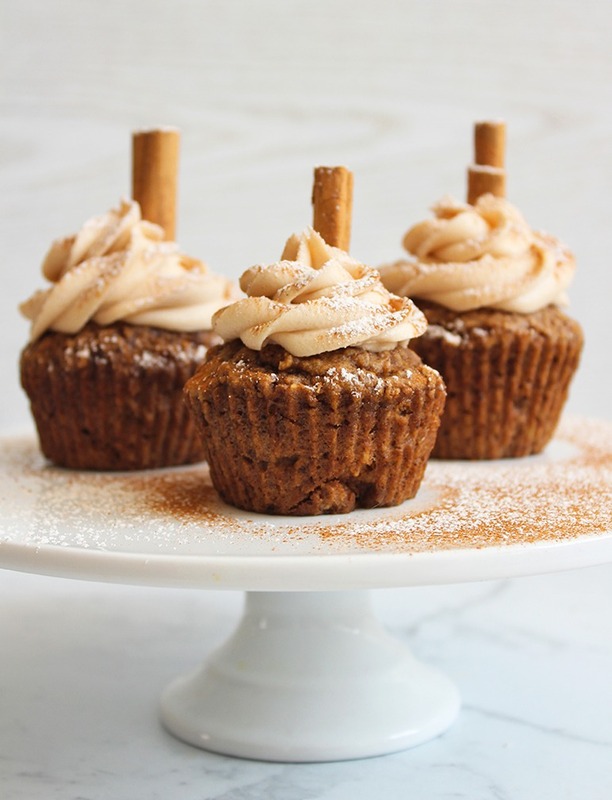 When making these cupcakes, I wanted to create something that has a lot of substance and real flavour rather than just being very sweet. They are dark and dense and flavoured with cinnamon, cardamon, nutmeg, cloves and ginger. I found that pairing this type of cake with a small dollop of sweetness on top made for a much more balanced dessert that doesn’t leave me feeling a little drunk on sugar. 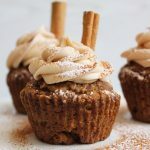 These little chai cupcakes call for 13 ingredients, take about 40 minutes in total to make and make an adorable centrepiece! Perfect for the holiday season with a snow-like dusting of cinnamon and icing sugar and a cinnamon stick that creates wintery woodland vibes. Just looking at them is comforting! If you’re looking for more sweet and festive recipes, check out these Almond Gingerbread Cookies and this scrumptious Pecan Pie. Finally, if you make this recipe and decide to share it on Instagram, don’t forget to tag me @lemonthy.me, I love to see your recreations! Also feel free, as always, to leave any questions, comments or suggestions below. Preheat your oven to 180°C (355°F) and line a cupcake tray with liners. Prepare your flax eggs (1 flax egg = 1 tablespoon of flax meal with 2.5 tablespoons of water) and let sit until they become gelatinous (5 minutes). In a large mixing bowl, whisk together the flax eggs, sugar, vanilla extract and vegan butter. Add and whisk in the plant-based milk. Sift all dry ingredients into another bowl and stir to combine, then add it to the wet ingredients. Fold it in until everything has come together smoothly. Now spoon the batter into the lined cupcake tray until they’re roughly 3/4 full. Bake them for 25 minutes. They are done when an inserted toothpick comes out clean. Set them to cool before icing. To prepare the icing; simply combine all ingredients until smooth, transfer to a piping bag and gently ice your cupcakes. 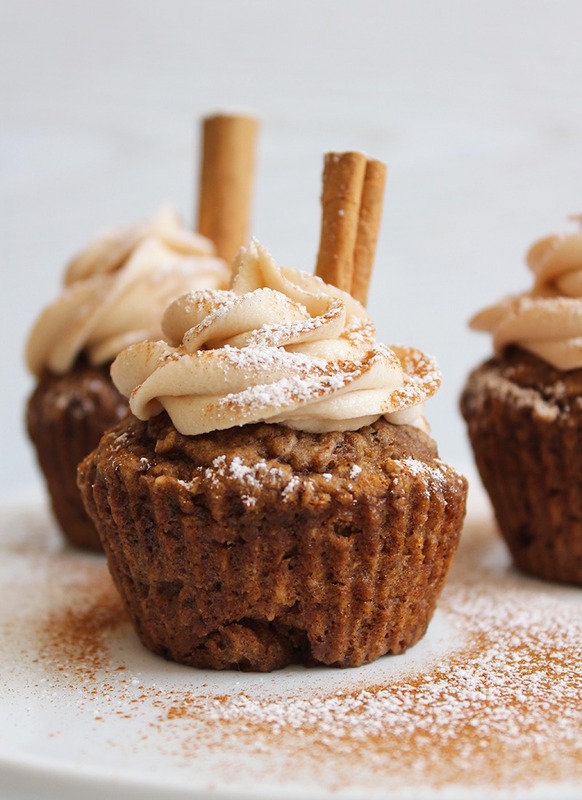 Dust with cinnamon and icing sugar and add a cinnamon stick for cuteness. Enjoy! And thanks for your comment, it means a lot!